Apple Senior Vice President Craig Federighi may have recently made a good (yet inadvertent) argument against the iPad Pro’s usefulness as a computer replacement. Federighi’s comment comes in the wake of Apple’s WWDC ’18 keynote on Monday. At one point during the presentation, Federighi confirmed that Apple is working on a platform that will make porting apps from iOS to macOS easier. But the Apple SVP also made it clear that the company has no plans to entirely merge iOS and macOS. Part of the reasoning behind that was revealed in a later interview with Wired, which was spotted and analyzed by Business Insider’sDave Smith. In response to a question from Wired’s Lauren Goode about whether porting iOS apps is a “natural precursor” to touchscreen Macs, Federighi said he wasn’t a fan of touchscreens on personal computers. “We really feel that the ergonomics of using a Mac are that your hands are rested on a surface, and that lifting your arm up to poke a screen is a pretty fatiguing thing to do,” Federighi told Wired. Yet, in subtly digging at touchscreen Windows laptops, Federighi also made a convincing argument why the iPad Pro is not really that great of a computer replacement. That normally wouldn’t be a problem, seeing as Apple plans to keep the two product lines separate and unique. But BI points out several seeming contradictions about Apple’s strategy — including the company’s recent “What’s a computer?” ad spot. These aren’t necessarily contradictions, however. While Apple has continually pushed to market the iPad Pro as a good choice for professional productivity tasks, the iPad and the Mac undoubtedly occupy two very different spaces in the Apple ecosystem. The iPad offers things that the Mac lineup doesn’t, like the ability to draw or take handwritten notes. And while some of the iPad Pro’s abilities can mimic that of a computer, Apple isn’t deluding itself to believe that it actually is a full replacement for a workstation Mac. Hence why the Mac lineup is still around — and remaining stalwartly touchscreen-free. Apple continues to offer both the iPad Pro and the Mac so that consumers can choose which device best suits their particular needs. For some professionals, an iPad Pro might suffice. But for many others, there’s simply no replacement for a MacBook or iMac. Real work can be done on an iPad Pro, but sometimes it’s not as convenient or practical as working on a full-fledged computer with a mouse and trackpad. Apple knows this, which is why there are different Apple products for different consumers. 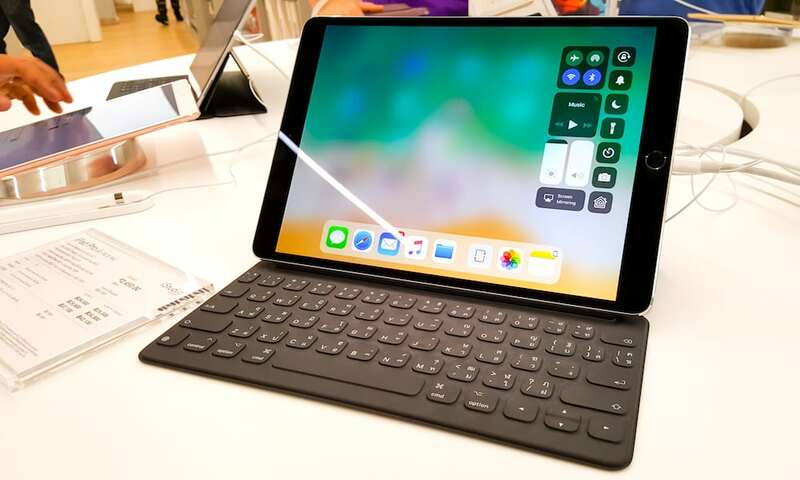 Besides, while Apple may want users to replace their Windows 2-in-1 hybrids with iPad Pro devices, they probably don’t want users to stop buying Macs in favor of their tablet lineup. Again, that’s why Apple has made the products fairly distinctive. So yes, while that surprisingly controversial Apple ad spot contradicts Federighi’s comment, the broader Apple strategy does not.